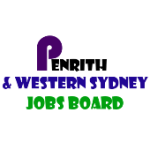 We are a mechanical workshop located in Jamisontown ( Penrith) and are looking for a 1st year entry level Motor Mechanic Apprentice. Must have a very keen interest in working and learning all aspects of the trade. To apply for this job email your details to enquiries@hitechrotaryperformance.com.